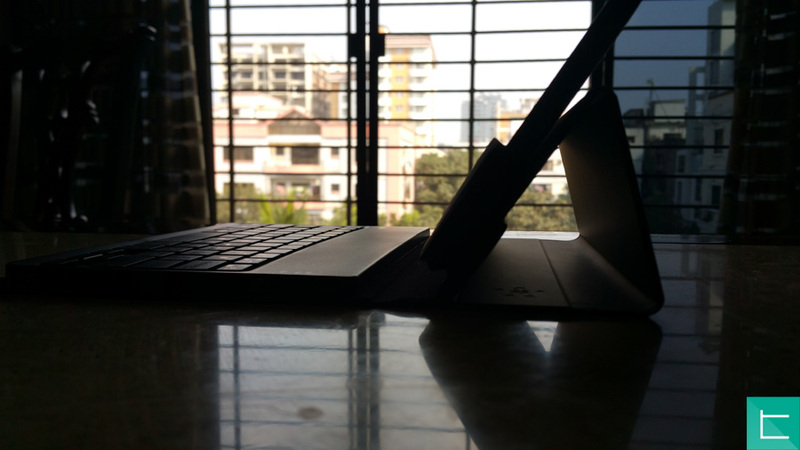 What differentiates tablets from smartphones? In a world where smartphones are seeing larger and larger screens, the size difference does not justify the existence of tablets especially of the 7-inch form factor. Yet here we are, 7-inch tablets are among the most popular out there as they are compact, reasonably portable and boost productivity in a way smartphones don’t. The act of using a tablet instead of a smartphone alone gives off a vibe of professionalism. 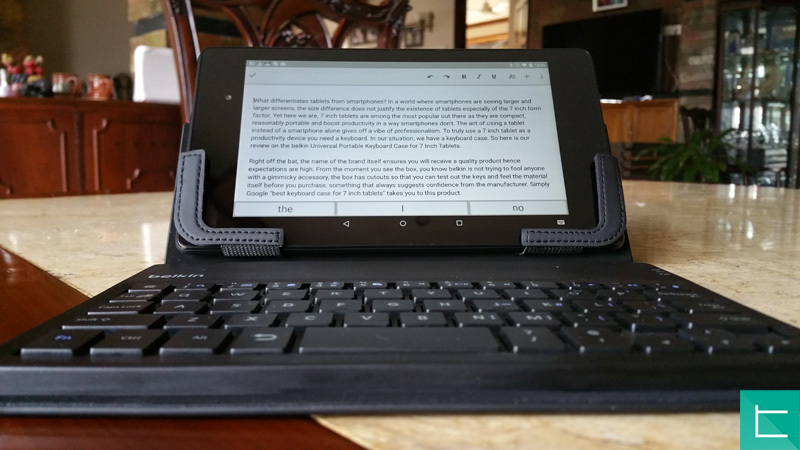 To truly use a 7-inch tablet as a productivity device you need a keyboard. In our situation, we have a keyboard case. 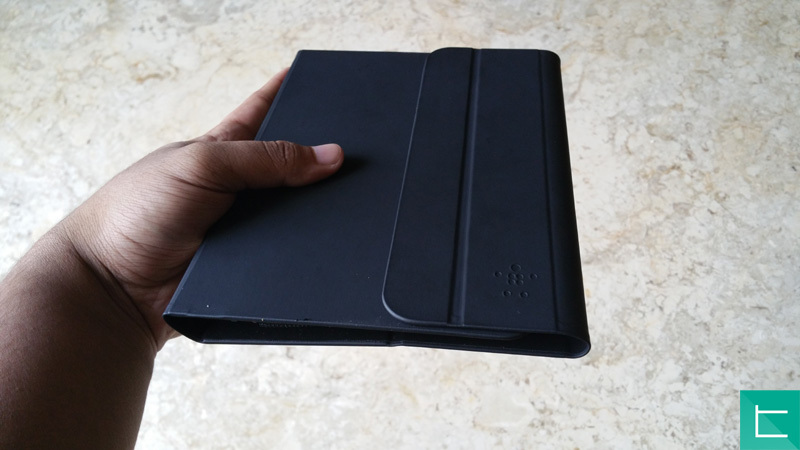 So here is our review on the belkin Universal Portable Keyboard Case for 7-inch Tablets. Right off the bat, the name of the brand itself ensures you will receive a quality product hence expectations are high. From the moment you see the box, you know belkin is not trying to fool anyone with a gimmicky accessory, the box has cutouts so that you can test out the keys and feel the material itself before you purchase, something that always suggests confidence from the manufacturer. Simply Google “best keyboard case for 7 inch tablets” takes you to this product. Pairing the keyboard with your Android device is as easy as pie. Just turn on the Bluetooth on your tablet, switch on the keyboard and press “pair”. Then from your tablet select the accessory from the list of available Bluetooth devices and type in the code displayed on screen with your accessory and voila ‘ you’re set. Battery life of the keyboard is superb as belkin promises 150 hours of use on a single charge. Obviously this could not be fully tested but for reference, the keyboard did not need charging for two weeks. Talking about the case itself, belkin has made a compact accessory that not only looks good but functions as advertised. Usually on keyboards this small, all they keys are cramped and don’t give much feedback when tapped. This was not the case here. To truly put the keyboard to the test, I used to solely for all my articles and typed work and did not experience a drop in typing speed or proficiency. Initially the keys felt a bit stiff but after a day or two of use, the keys became more broken in and the typing experience felt much better. The keys travel a good deal and have a resounding click when depressed giving the user a sense of confirmation that they key has been properly struck. Spacing between the keys is optimal in order to reduce the number of typos. The layout of the keyboard is pleasing as well. We get a dedicated Home and Back key as well as key combinations that allow for copying, cutting, pasting, locking the device, accessing the menu option and media controls directly from the keyboard. The presence of directional keys are welcome as well. To the right hand side of the keyboard, we have a dedicated pair button and a power switch along with a micro USB port for charging. A handy LED indicator rests next to the pair key to let you know of the changing status and when it is being paired. The materials used for the accessory are of high quality. belkin used a good grade plastic to construct the keyboard which feels nice and study and used a soft synthetic material for the remainder of the case’s construction. A nuisance with the soft material is that it easily catches lint and hence needs to be wiped often. When the case of closed, the tablet is held securely inside and the overall bulk of the device is still very manageable. Your 7 inch tablet is held securely by two brackets on the case, the elastic nature of which allows you to fit in a variety of 7 inch tablets. My major gripe with the case is that it can be propped up in only one position which may not be ideal for every scenario. The magnet holding the case in position is not the strongest either and I found myself having to reattach the magnet a few times during the bump car rides on Dhaka city’s pothole riddled streets. 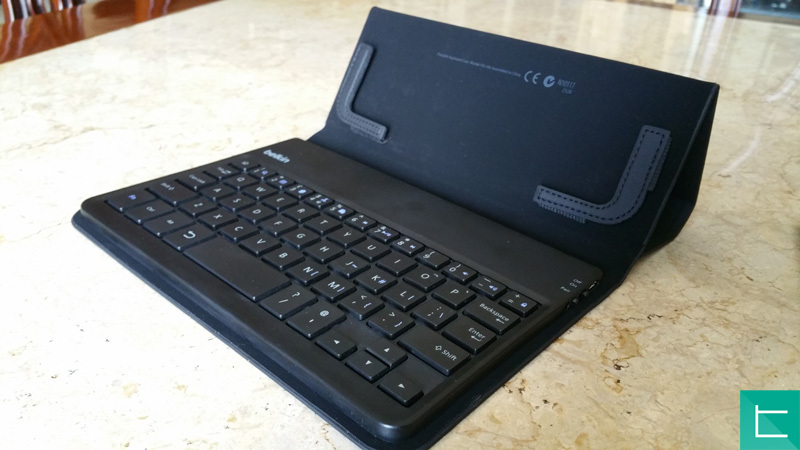 To conclude, belkin’s Universal Portable Keyboard Case for 7 Inch Tablets is an awesome accessory with a few quirks. It is ideal for anyone who wants to boost the productivity on their tablets or just type things on the go. The accessory doubles as a case too so it ticks the requirement boxes sufficiently. They accessory is a bit pricey, coming in at £40 but considering the competition and what you receive, it is a worthwhile purchase.